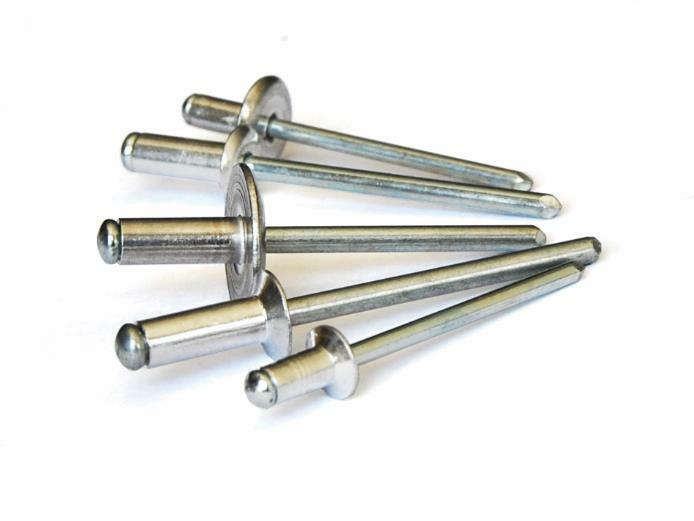 Fastener element that ensures a safe and tight joint. Available in a wide range of materials and sizes, with different types of heads and multiple finishes. Standard rivets are blind rivets with a breaking mandrel. They are designed for the fastening, in a fast and simple way, of all kind of materials, when a especially high torque force is not needed. Bralo Standard Rivet is available in a wide range of diameters: from 2.4 mm to 7.8 mm., covering a wide grip range (from 0.8 mm to 185 mm). Along the same line, the variety of materials are huge and so are the finishing options; from lacquering to the different protective coatings, the customisation possibilities are infinite. It covers a wide grip range; from 0.8 mm. to 185 mm. It can be fixed from both ends. Diversity. It is available in a wide range of materials: aluminium, steel, stainless steel, copper, etc. Wide range of diameters: from 2.4 mm. to 7.8 mm. It can fasten different materials with different types of manufacturing: composites, laminate materials, heat treated, etc. Good resistance to temperature variations. Available in alloy magnesium contents of 3.5 and 5.0, which give a great tensile and shear strength, an excellent clamping force and a high resistance to corrosion. Fast, simple and great quality assembly. The riveting process is environmentally friendly, free of smoke, sparks, fumes. It requires simple, fast and lightweight tools. Materials: aluminium, steel, stainless steel and copper. Diameters: 2.4 mm, 3.0 mm, 3.2 mm., 4.0 mm., 4.8 mm., 5.0 mm. y 6,4 mm. Heads: Dome, countersunk and large heads. Steel Lacquering, zincating (galvanised and alloys) and organic coating. Aluminium Lacquering, anodising and organic coating.